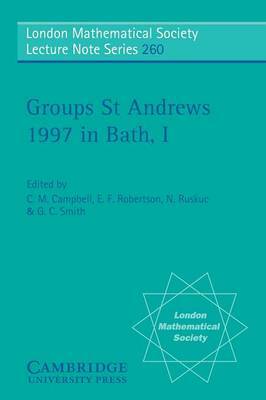 'Groups St Andrews 2005' was held in the University of St Andrews in August 2005 and this second volume of a two-volume book contains selected papers from the international conference. Four main lecture courses were given at the conference, and articles based on their lectures form a substantial part of the Proceedings. This volume contains the contributions by John Meakin (Lincoln, Nebraska) and Akos Seress (Ohio State). Apart from the main speakers, refereed survey and research articles were contributed by other conference participants. Arranged in alphabetical order, these articles cover a wide spectrum of modern group theory. The regular Proceedings of Groups St Andrews conferences have provided snapshots of the state of research in group theory throughout the past 25 years. Earlier volumes have had a major impact on the development of group theory and it is anticipated that this volume will be equally important. 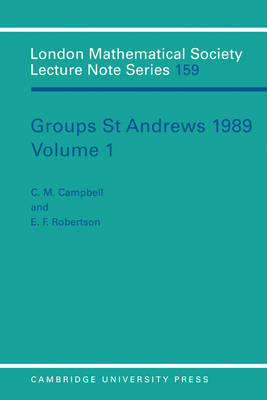 Buy Groups St Andrews 2005: Volume 2 by C. M. Campbell from Australia's Online Independent Bookstore, Boomerang Books. 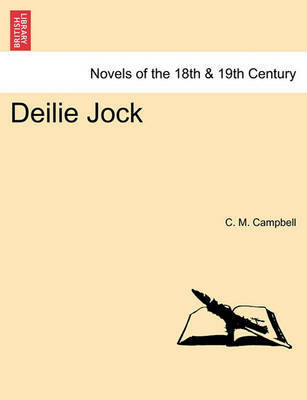 Colin Campbell is a Reader in Pure Mathematics at the School of Mathematics and Statistics, University of St Andrews. Martyn Quick is a Lecturer in Pure Mathematics at the School of Mathematics and Statistics, University of St Andrews. Edmund Robertson is a Professor of Mathematics at the School of Mathematics and Statistics, University of St Andrews. Geoff Smith is a Senior Lecturer at the Department of Mathematical Sciences, University of Bath.